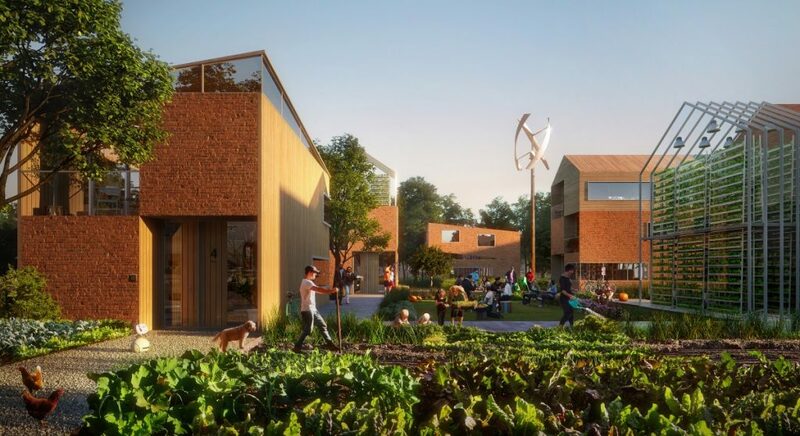 Circular, safe, healthy, and featuring high-tech transport and energy innovations, a new district in the Netherlands strives to be ‘The Smartest Neighborhood in the World’. 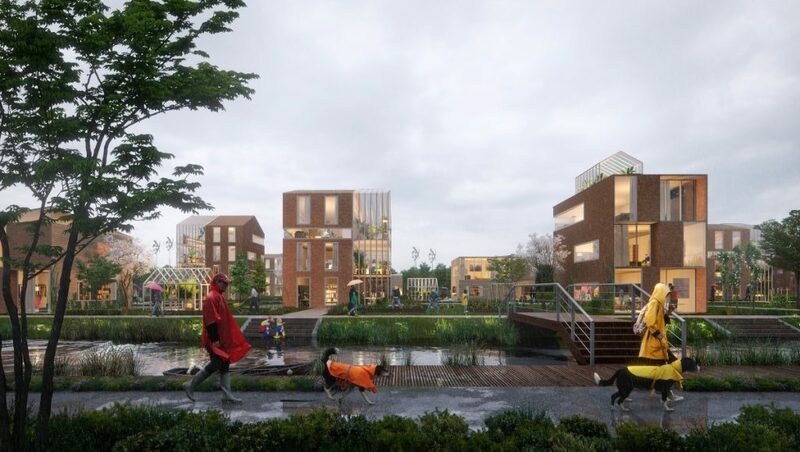 The urban vision of designer UNStudio sets out Helmond’s Brainport Smart District (BSD) as a flexible grid that is developed per the users’ demand, rather than as a pre-determined fixed plan. Over the next ten years the BSD will develop 1,500 new homes and 12 hectares of business premises, characterized by the application of the latest technologies and knowledge in order to achieve the goal of a sustainable, circular and socially cohesive neighborhood that features joint energy generation, food production, water management, joint digital data management, and revolutionary transport systems. In July 2018 UNStudio was selected to put together a team in order to translate the ideas for the BSD into a spatial plan. 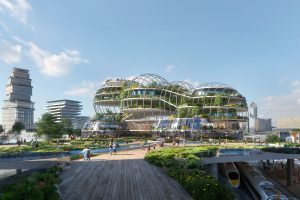 The resulting urban vision was created in a collaboration between UNStudio (project lead and urban planning), and Felixx Landscape Architects & Planners, (ecology and landscape), Metabolic (circularity and climate adaptation), Habidatum (data analysis) and UNSense (data and technology strategy). BSD will be a ‘living lab’: a mixed residential neighborhood organized around a central park and surrounded by business spaces and natural reserves. The district aims to develop a new relationship between buildings and landscape, whereby both strengthen each other qualitatively. The landscape is used as a productive environment for food, energy, water, waste processing and biodiversity. Unlike most developments however, BSD will not be designed first and built afterwards. Instead, design and construction will go hand in hand with step-by-step development. This new district aims to contribute to the creation of a sustainable and unique living concept, one which embraces experimentation and ‘learning by doing’. BSD and the UNStudio team’s ambition is to develop a framework for urban development that will empower and motivate people and innovation. The total surface of the BSD is 155 hectares: bigger than 320 football fields. The urban plan offers maximum opportunity for growth with a flexible framework of incremental density. 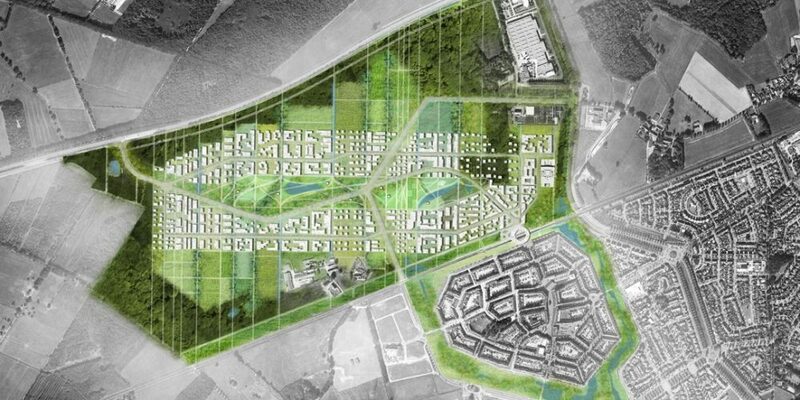 Factoring future economic and social flux, the site is parceled into a series of strips (from north to south) that demarcates the district into ten parts, offering a diversity of urban and landscape densities and use. An on-demand district – Both urban development areas and nature areas are perceived as productive spaces, where a mix of living, working and leisure is facilitated. A shared-owned central park forms the active social heart of the District where all residents share healthy activities and cultural programmes. 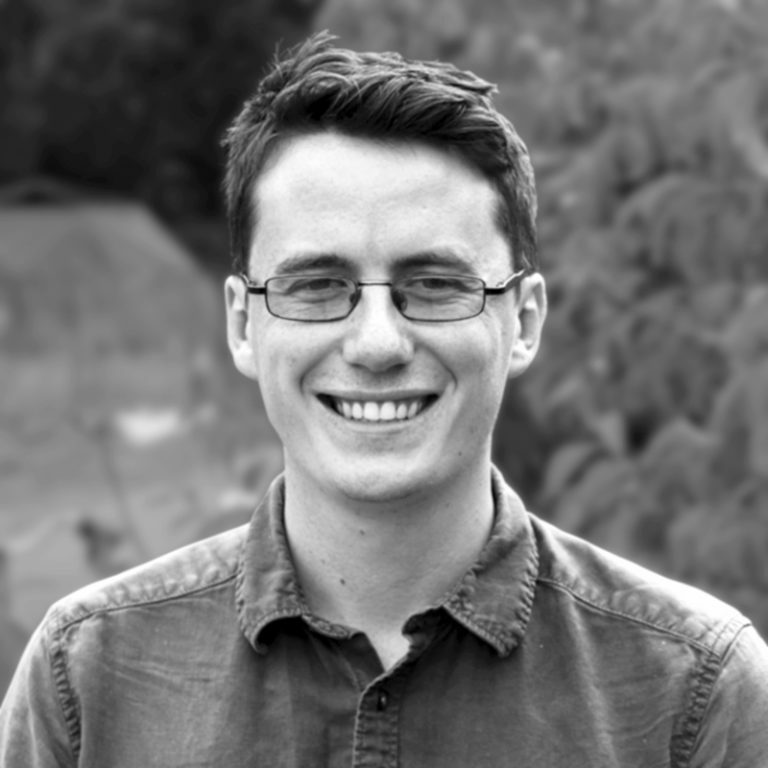 A community of innovators – catering to new local and international users, the BSD hopes to attract early adopters of new ways of living and working. Residents are encouraged to adopt communal resource schemes such as shared energy generation and land cultivation, while businesses will primarily be those that focus on innovative research fields.The productive urban environment and landscape will generate a local economy that is specifically ‘Made in BSD’. An area inviting change – UNStudio’s vision translates BSD’s high ambitions regarding climate adaptation and circularity into a framework that ensures that ecological, social and economic sustainability are within reach. A place where technology makes a positive impact – BSD’s technology universe is introduced as a framework for sharing data and information in order enrich the efficiency of the landscapes, buildings and public spaces, while offering seamless connectivity. 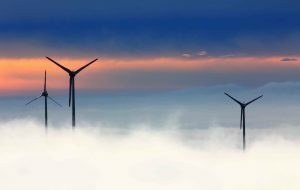 The Stichting Brainport Smart District is a joint venture between the Technische Universiteit Eindhoven, Universiteit van Tilburg, provincie Noord-Brabant, gemeente Helmond en Brainport Development. The UNStudio team included Ben van Berkel with Dana Behrman, Misja van Veen and Maria Zafeiriadou, Pedro Silva Costa, and Chen Shijie.